When it was built in 1925, Doris Hall, was home to 28 girls. It was named for Doris Zemurray Stone, herself a graduate of Radcliffe College and the daughter of Tulane donor, Samuel Zemurray. 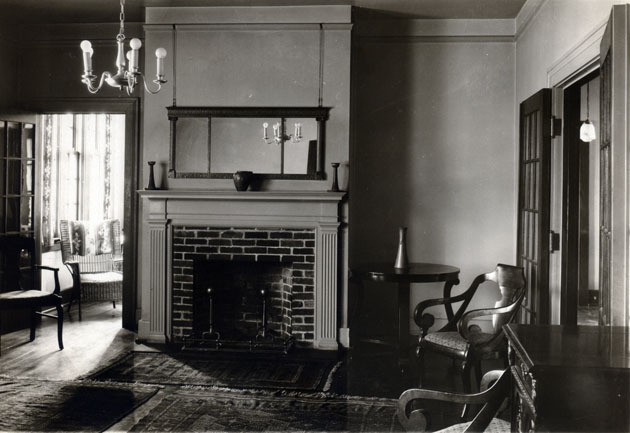 Built as a cooperative dormitory, Doris Hall provided an option to students to set tables and such in exchange for reduced housing fees. 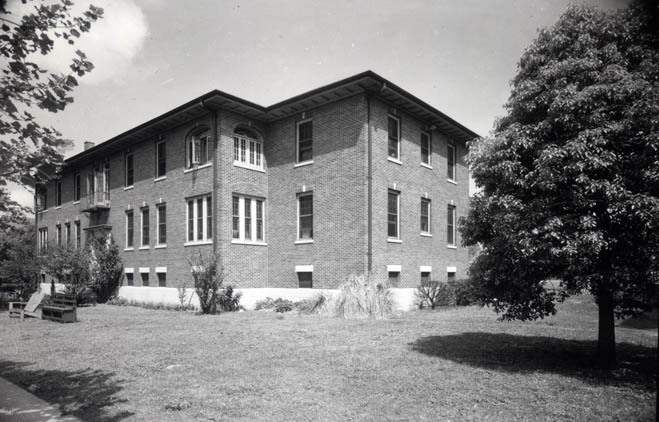 However, after the completion of New Doris Hall in 1958, Doris Hall halted operating as a cooperative dorm, but continued into the late 1980s to house students, until the mid 1990s, when it was torn down. Please proceed to Warren House, campus building number 56. 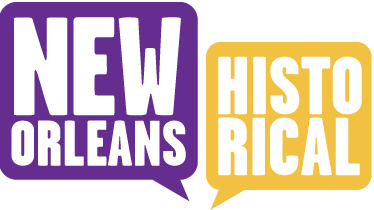 Newcomb College Institute, Lauren Dean, “Doris Hall,” New Orleans Historical, accessed April 24, 2019, https://neworleanshistorical.org/items/show/177.